Panaji, January 27, 2019 … …“National Voters Day is a very significant occasion as a democratic nation is imperfect without its voters. Not casting vote is a criminal offense as per our conscience as a voter and as a citizen of this country. Young voters must realize the importance of vote as participating in this democratic process makes you a true citizen of India,” stated Smt. Nila Mohanan IAS, Secretary for Revenue while speaking as a Chief Guest at the District Level National Voters Day program held in Panaji recently. While addressing the new voters she further added that the first vote is an occasion to celebrate like a birthday or an anniversary. “The Election Commission tries to make each election a celebration of democracy and we must proudly be a part it. 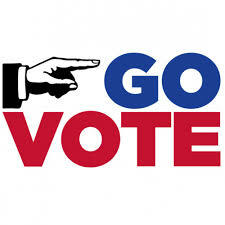 Exercise the right to vote efficiently and meaningfully. Use your independent judgment to decide who to vote and encourage your peers to enroll in the process too,” she said. North Goa District Collector Shri. Levinson Martins, Addn Collector Shri. Gopal Parsekar, Election Icon and Information Officer Shri. John Aguiar, Shri. Brahmanand Shankhwalkar and Shri. Mukesh Ghatwal were present on the occasion. Earlier, the function began by lighting the traditional lamp. Shri. Martins welcomed the gathering. The dignitaries then distributed the EPIC cards to the new voters and released a video made by BLOs of Taleigao Constituency on the process of voting. Jt. Mamlatdar Tiswadi Smt. Varsha Parab administered the Voter’s pledge to the gathering. Kum. Afreen Khan compered the function while Mamlatdar Tiswadi Smt. Sapna Bandodkar proposed the vote of thanks.